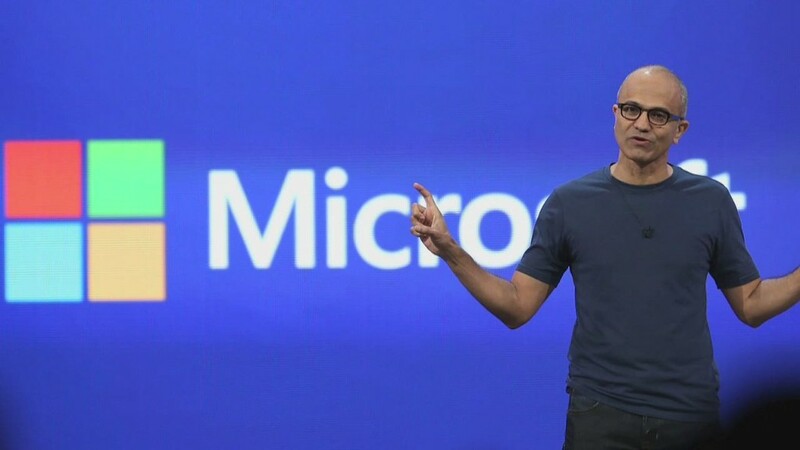 Microsoft CEO Satya Nadella is swinging the axe again at the software giant. Up to 7,800 people will be laid off globally, the company announced Wednesday morning. Most of the jobs are within its smartphone hardware business. Microsoft (MSFT) had 118,600 employees as of March 30, with about 60,000 of those workers in the United States. The cuts represents about 7% of its staff. This is Nadella's second major restructuring. He announced 18,000 layoffs in Nokia's devices and services business last year, following Microsoft (MSFT)'s acquisition of the handset maker. The new job cuts and restructuring will also mean a $7.6 billion writedown for the company, a one-time charge that many have been expecting. Steve Ballmer's purchase of Nokia was one of his most criticized deals. Analysts attacked the former Microsoft CEO for hampering the firm with an aging legacy business. "It is a deal that makes no sense," Ben Thompson, an independent analyst, wrote when the acquisition was first announced. "Adding on a mobile phone business that Microsoft probably should abandon is like attaching an anchor to said straitjacket and tossing the patient into the ocean." After Nadella took over Microsoft, he made it clear that he would have to make aggressive changes to revitalize the company. The company's focus is now on cloud services and mobile software. "We are moving from a strategy to grow a standalone phone business to grow and create a vibrant Windows ecosystem," Nadella said in Wednesday's announcement. "In the near-term, we'll run a more effective and focused phone portfolio while retaining capability for long-term reinvention in mobility." The latest cuts may be especially detrimental to Finland, where many of Nokia's employees work. Pekka Pekkala, the communications head for the country's prime minister, said on Twitter that 66% of Microsoft's Finland staff will be dismissed. "Finland loses 2,300 jobs...pretty much killing the city of Salo," Pekkala tweeted. Read: When will Windows 10 actually become available?